There are three Grade 1s at Fairyhouse this afternoon. "There is a chance that Tornado Watch’s last run in America is false but if it isn’t the handicapper could have let him in light on 123 here with an in-form claimer taking off seven pounds." During the 2017/18 jumps season in Ireland and the UK, Willie Mullins won 22 Grade 1 races with 15 different horses. Thus far in 2018/19, six of those 15 horses have run but are without a win and none of the larger group will be seen at Fairyhouse this afternoon. This is not to say Mullins is having a bad campaign - he isn't - but rather that in general his best horses have either not fired yet or remain on the sidelines. What it does mean is that the door is open for Gordon Elliott - read his Sunday column here - on what is the most important meeting of the burgeoning winter season. There are four graded races on the card and he has the favourite (or as close to it not to matter) in each; there may not be an individual day for the rest of the season when more is expected. And the pressure may be on a little too. Elliott has only won one graded race in Ireland and the UK this season (the number was nine at this stage last year) and then there was Samcro yesterday, the disappointment of disappointments for some, running a career best for others. As for betting on those Grade 1 races, the markets looked pretty accurate to my eye and perhaps there are better opportunities in the shoulder races. Coeur Sublime can be expected to improve a lot for his hurdles debut at Down Royal; not only was it his first time on grass for Elliott but he also jumped poorly and travelled on and off the bridle. With the stable runners coming on for a run, a significant step forward is likely but that is in his price already though I wouldn't put anyone off at a shade of odds-against. The place market might be more interesting; I rate Lever Du Soleil his main danger but the betting has both Chief Justice and Humaniste ahead of him. His first three hurdle runs give him little chance here but he seems to have returned from a 57-day break an improved model, set to win a Punchestown maiden by a decent margin before falling two out then backing that up the following week with a win a Gowran. The time-figure there was good, among the best juvenile hurdle figures thus far, and he should be in the shake-up if running his race. Despite a relatively small field, the Porterstown has plenty of intrigue, much of which comes from Undressed having his first run for Willie Mullins. Rated 127 at his best for Michael Hourigan, he has dropped to a rating of 119 but is hardly unexposed after 38 runs and his jumping has long been a concern; there may be a clue in the fact that Paul Townend is riding, not Ruby Walsh. It will be an excellent training performance if he can win today but there are more reliable options. Fitzhenry could be one of those after a good return over hurdles last month and the cheekpieces back on but this trip is a worry and his price seems about right so Velocity Boy is preferred. He looked set to play a big part in the finish of the Cork National last time before falling two out and probably wasn't helped by making his move sooner than most; he went from the rear to near the lead down the back straight second time around while most of the others were holding their positions. Left on the same mark now, he is eight pounds better off with the winner of that race Out Sam and basically encounters the same circumstances as showed him to good effect last time: decent ground, a flat right-handed track and a marathon trip. Charles Byrnes looks to have this race where he wants it with Wonder Laish and Off You Go. Of the two, my preference would be for the McManus runner as Wonder Laish got a sizeable 17lbs hike for last time, allowing that he has the flat class (rated 95 in that sphere) to get away with it. Off You Go has plenty to recommend him; he was better than the result in winning last season's Coral Hurdle, in front soon enough despite not jumping the last two well, and seemingly only doing enough in the finish. His Galway return was excellent as defied market weakness to win well at the line, the second a winner since and the overall time good. This faster ground is a slight concern however if the rain doesn't come and at the prices two are preferred. I've put them up here win-only on the Exchange but there are some decent extra place offers out there and the race shape might dictate an each-way bet; there are 22 runners but it may not be as competitive as it first seems. Blazer has a good chance judged on his Galway Hurdle second; that form worked out with Sharjah, Bedrock and Le Richebourg all winning graded races and a four pounds higher mark is not insurmountable. His last run in the Kerry National was disappointing but I don't think three miles is his trip and he has been freshened up since. His figures at the minimum distance read:319142 with the only disappointment coming when backing up quickly in the 2016 Betfair Hurdle and he tends to go well fresh. There is a chance that Tornado Watch's last run in America is false but if it isn't the handicapper could have let him in light on 123 here with an in-form claimer taking off 7lbs. 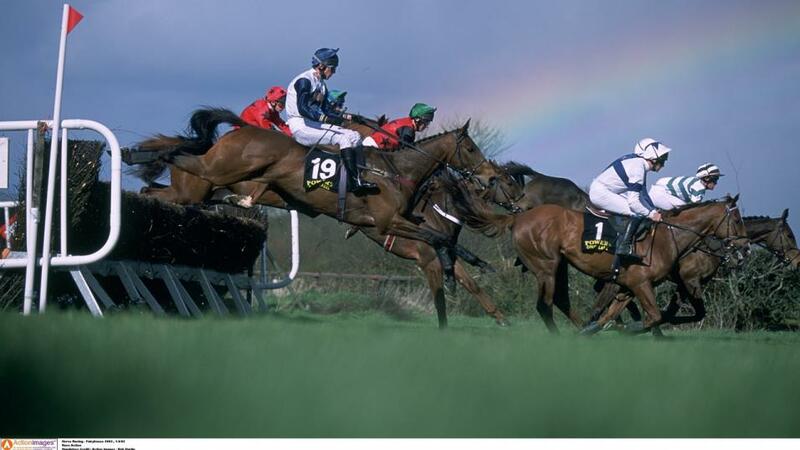 In that Far Hills race he got within three-and-a-quarter lengths of Jury Duty despite hitting three of the last four brush hurdles and the winner is a 147 hurdler and a 153 chaser who had been in form going into the race. The return to regulation hurdles will suit as he isn't the biggest and he was on an upward curve on his previous hurdle run in May.